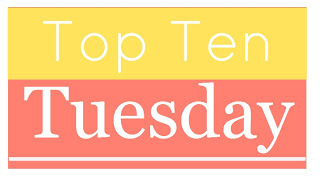 Top Ten Tuesday is a weekly meme host by The Broke and the Bookish. This week’s topic is Ten Books We Picked Up On A Whim. Possible Side Effects by Augusten Burroughs – I got this book back in 2007 when I was in the airport on my way to Key West, FL. I didn’t know that when I picked this up to read on my flight that I was going to find my favorite author. Why We Broke Up by Daniel Handler – I’ll admit I picked up this book for pure cover lust. That’s probably my reason for most of my ‘on-a-whim’ books though. We’re all guilty of a little bit of cover judgements… aren’t we? Dearest Clementine by Lex Martin – I don’t remember why I spontaneously bought this one, maybe someone dd recommend it and I’m just not remembering, but I bought it and loved it so either way it’s a win. Killer Pizza by Greg Taylor – This was a random middle grade purchase I picked up at HPB, probably because I was hungry. It was a cute story, so there are no regrets… except maybe not having pizza right now. How To Say Goodbye In Robot by Natalie Standiford – The title pulled me into this one, plus, I didn’t read the synopsis, but I did read the cast of the audiobook was an ensemble and I was down for that. Good productions always grab my attention, and this is a great audiobook! Crank by Ellen Hopkins – I thumbed through this one in a B&N and I didn’t know what it was about, but I was into the style that Elle Hopkins wrote it. So I bought it! Now Ellen Hopkins is on my insta-buy list! Unbreakable by Kami Garcia – This was a book I bought because of a blurb. On the back Nancy Holder said “Supernatural meets Buffy the Vampire Slayer” and that was all I needed. Now I’m hooked and waiting waiting waiting for the third book! None Of The Above by I.W. Gregorio – I picked this one up for no particular reason. The cover interested me, the concept intrigued me, and I just needed a new audiobook to fill my ear holes. Again, no regrets! The Last Boy And Girl In The World by Siobhan Vivian – This was my most recent whim purchase. We were just doing some grocery shopping and I made my usual sweep of the book section at Wal-Mart and I saw this gorgeous book and dropped it in the cart. I didn’t even know that the book still wouldn’t be out for a few days. I still haven’t read it, but I have a feeling I’ll enjoy it!